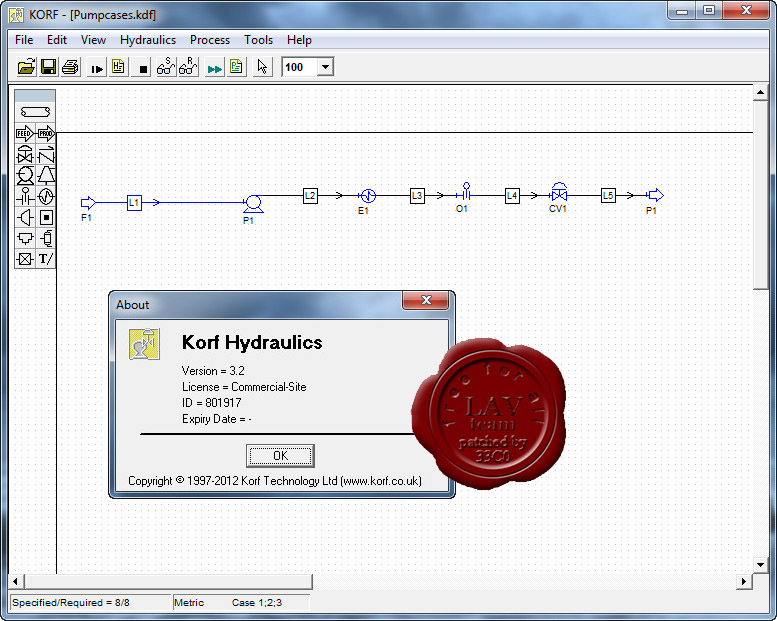 Korf Hydraulics is a user friendly program for calculating flow rates and pressures in pipes and piping networks. It is extremely flexible in what you can specify, with the program solving the unknown flows, pressures and sizes. Korf Hydraulics is equally well suited for applications ranging from a single pipe to complex networks where the flow rate in all or part of the network is unknown. Korf Hydraulics is used by many engineering companies, including Reliance, PCS, Foster Wheeler, WorleyParsons, Linde, Colt, SNC Lavalin, Ambitech, Quotient, KPI, Kensington, IQA, Effective Project, Boeing, Opus, Amec, Terasen, Triad, Bectel, Stepan, Propak as well as smaller contracting companies and individuals. Advanced graphical interface and extensive reporting facilities. Liquid, isothermal compressible and several 2-phase methods. Multiple pipe databases, including non-cylindrical pipes. Pipe fluid properties can be based on that of another pipe (reference pipe). Flexible pipe sizing routines, and ability to ignore non-standard sizes. Fittings can be represented by the Crane or 2-K method. Heat loss from pipes can be estimated. Equations to simulate wells, spargers and to link specification to other equipment. Advanced equipment sizing and rating facilities (flow meters, control valves, etc). 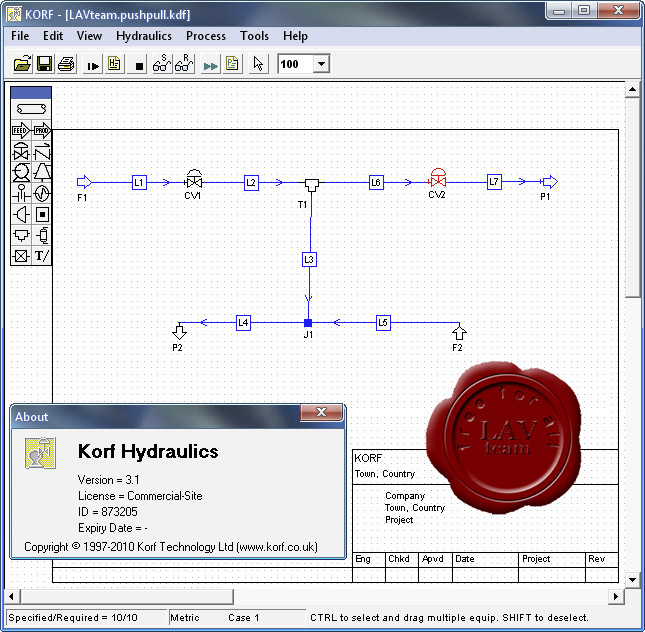 Built-in flash calculations and facilities to import data from simulators (Hysys, etc). Support for binary interaction coefficients and pseudo components. Support for multiple cases (normal, rated, etc). Quick calculation tools for pipes, orifices and control valves. Multiple pipe databases, including non-cylindrical pipes. Pipe database stored with data file. Estimate heat loss from pipes. Equations to simulate wells, custom pressure drops and to link specification to other equipment.